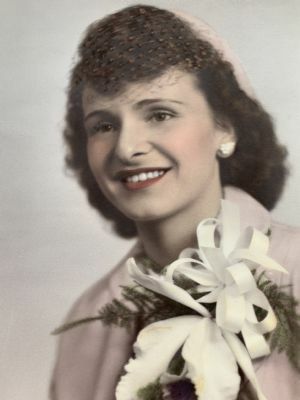 Gladys E. Weiler, 89, of Lancaster, died Friday, January 11, 2019 at her residence. Born in Lancaster, she was the daughter of the late John M. and Elizabeth M. Schrumm Coble. She was the widow of the late Harold L. Weiler, Sr. She was a meat packer at Kunzler for 35 years and attended the former Central Baptist Church in Lancaster. Gladys supported Bearing Precious Seed, a bible publishing ministry. She is survived by: sons, Harold L. "Skip" husband of Tamra Nick Weiler, Mark husband of Ruth Ann Thomas Weiler both of Lancaster; four grandchildren; four great-grandchildren; brothers, Robert E. and Harold K. Coble both of Lancaster. She was preceded in death by: siblings, John M. Coble, June S. Denlinger, Lorraine Coble, Alice Yarnell, and Paul F. Coble. The funeral service will be held on Tuesday, January 15, 2019 at Furman Home for Funerals, 59 W. Main Street, Leola, at 11:00 AM. Friends may call on Tuesday from 10 – 11:00 AM at the funeral home. Interment will be in Willow Street Mennonite Cemetery. In lieu of flowers contributions may be made to Bearing Precious Seed, 1369 Woodville Pike, Milford, OH 45150. John 6:37 All that the Father giveth me shall come to me, and him that cometh to me I will in no wise cast out.